Calendar for 2019 by Nuppu Print Company. This hard covered calendar has monthly views in the beginning and then each week on its own spread. Between months there is empty space and in the end ruled pages for notes. The calendar has a pocket in the back cover and firm rubber band to close it tightly. Calendar size is 12,5 x 15,5 cm and it includes Finnish holidays and name days. Printed in Tallinn. Calendar for 2019 by Nuppu Print Company. This hard covered calendar has monthly views in the beginning and then each week on its own spread. Between months there is empty space and in the end ruled pages for notes. 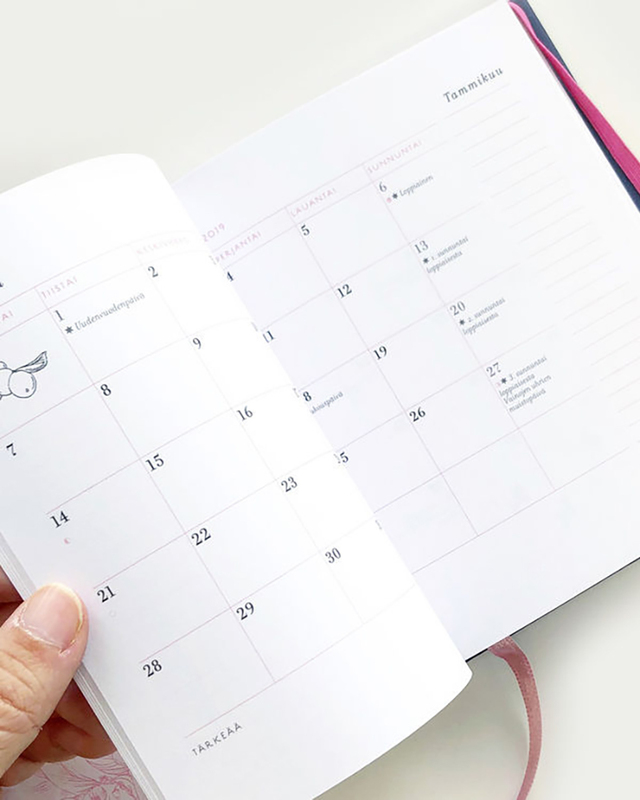 The calendar has a pocket in the back cover and firm rubber band to close it tightly. 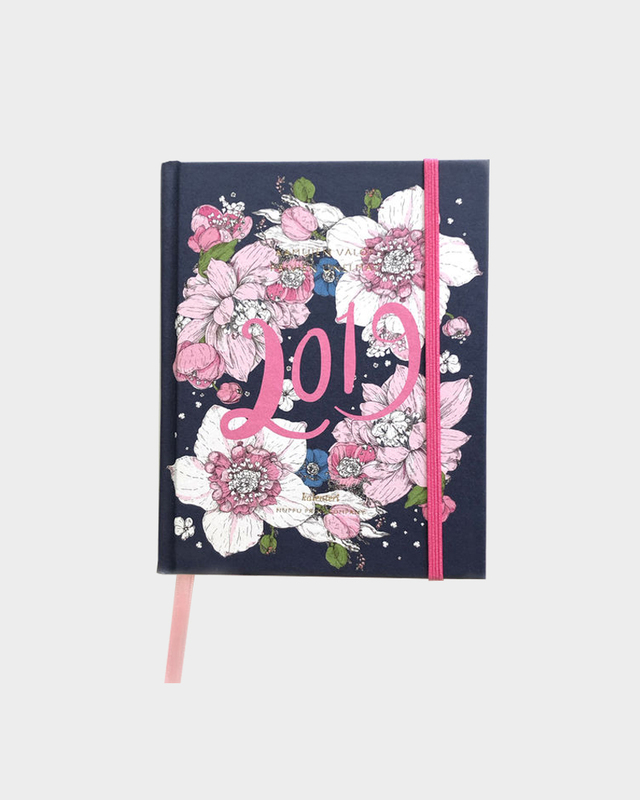 There are two options of the cover patterns: Sweet pink Metsäseppele and stylish blue Sydäntalvi. 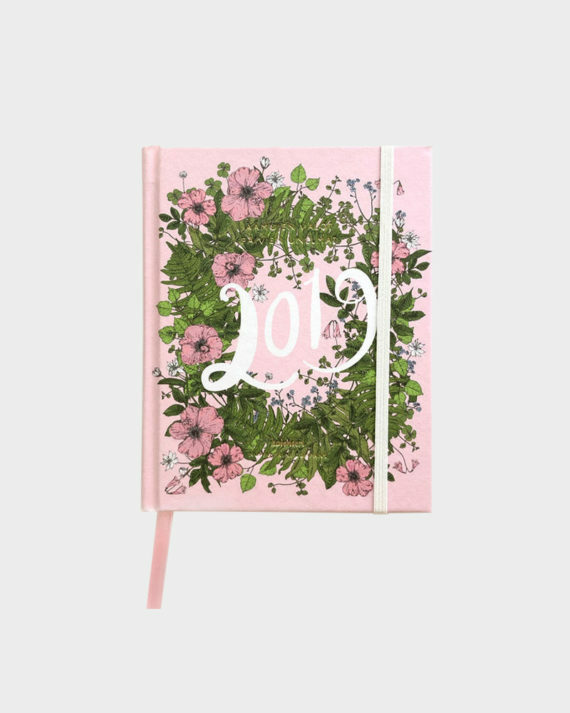 Calendar size is 12,5 x 15,5 cm and it includes Finnish holidays and name days. 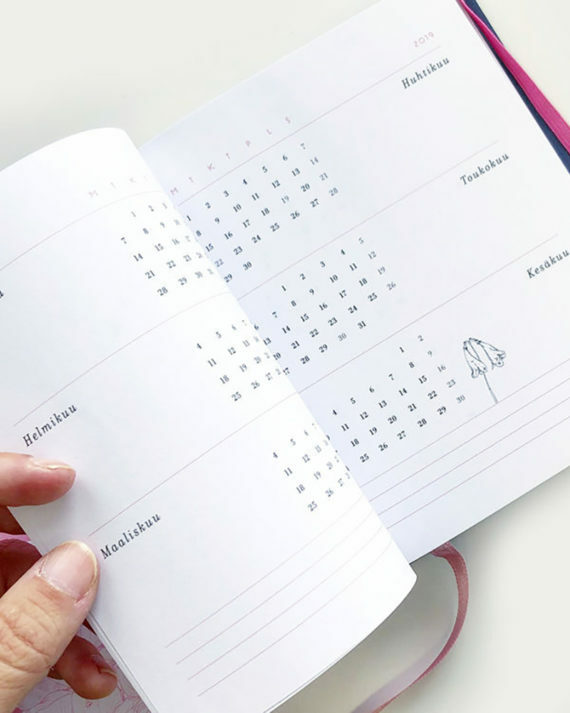 It is printed in Tallinn, where the pocket and rubber band are attached by hand to the calendar. 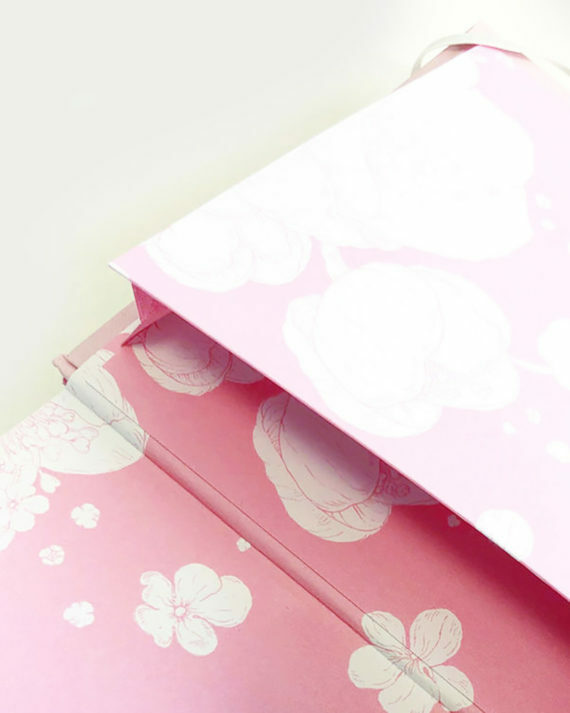 Nuppu Print Company is Helsinki based and lead by Satu Kontinen and Jenni Salminen. 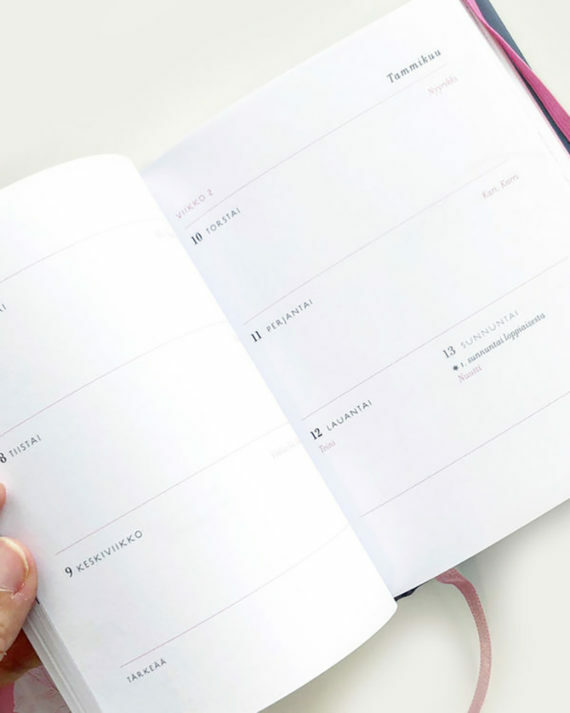 In addition to keeping track of day to day life, the calendar is also meant to capture future dreams and ideas. The back cover has a small reminder written in Finnish: Pssst. Don’t forget to dream.